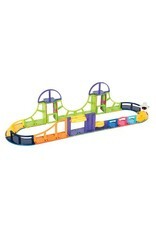 Enjoy racing adventures with this 44-piece Sky Track Play Set! 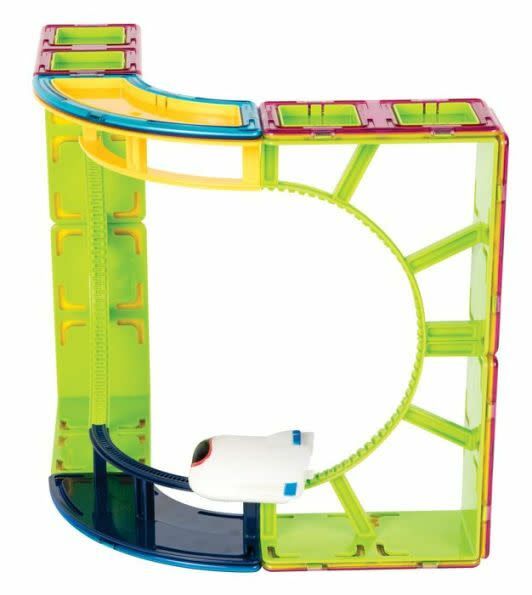 With a sky shuttle and multiple track accessories, you can create loops, ups and downs, and twists and turns for endless flight fun! Watch as your shuttle does a 360 spin and climbs the lift elevator! 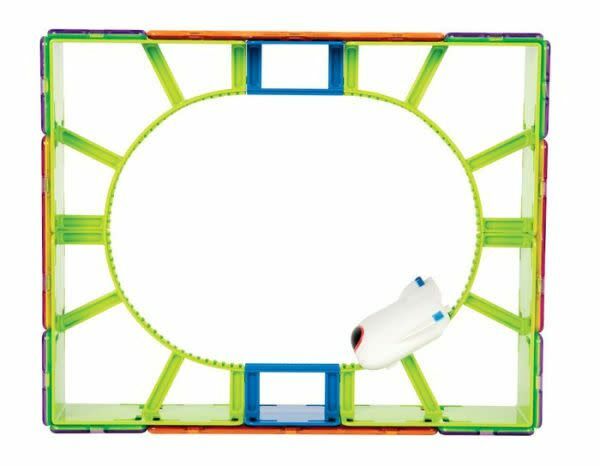 When your track is completed, the sky shuttle can go off-road in its sky car! Warning: Choking Hazard. 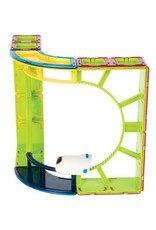 Small parts are not suitable for children under three years of age. Do not put in mouth or nose. Seek immediate medical attention if swallowed or inhaled. Swallowed magnets can stick together across intestines causing serious infections and death. 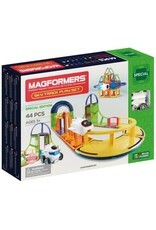 Based in Canton, Michigan, MAGFORMERS® is the industry leader in magnetic building toys for children. 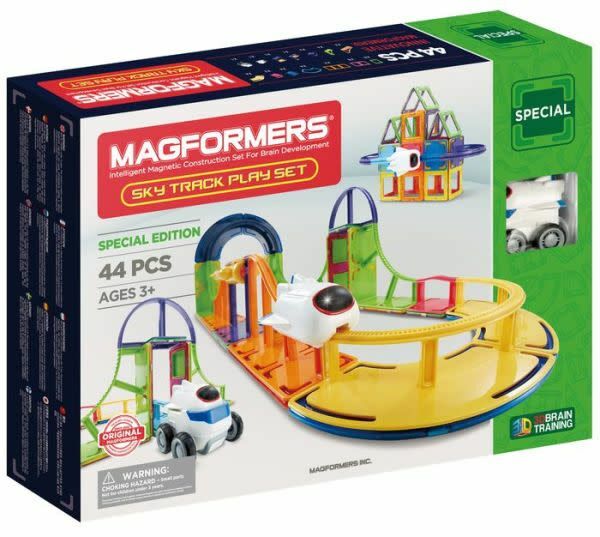 Their patented “always attracting” magnetic technology delivers a unique, high- quality, reliable construction play experience to inspire creators of the future. Each shape contains rotating Rare Earth Neodymium magnets that are the strongest of their kind for guaranteed connectivity. 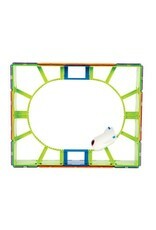 Every magnet is encased and secured in Sonic-welded BPA free, HQABS plastic for safe, long-lasting play.